Anis Ramli takes a road trip on one of Malaysia’s very first highways. The deep seas off Terengganu may be rich in oil and gas reserves, making the east coast Malaysian state among the region’s leaders in the oil, gas and petrochemical industry, but some argue that its real treasures are found on the mainland. With a documented history reaching as far back as the 2nd century, Terengganu has accumulated a wealth of heritage influenced by the Langkasuka and Srivijaya kingdoms it was part of, and the Majapahit, Khmer and Chinese empires it traded with. 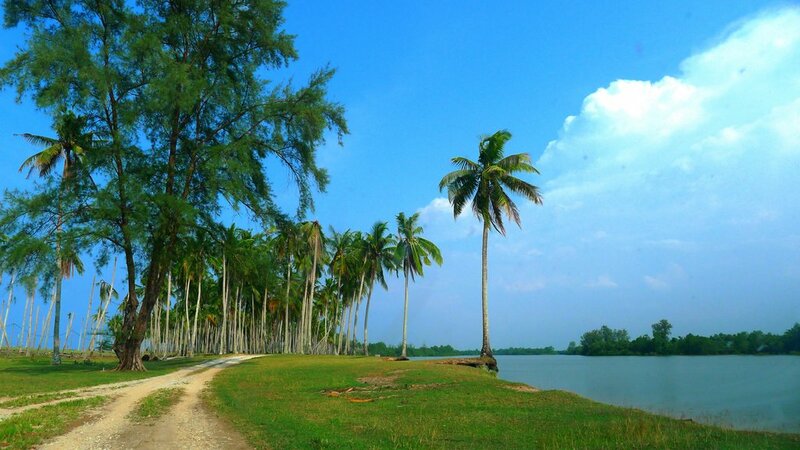 Despite modern developments, the old Terengganu still remains, and the best way to explore it is via Federal Route 3. Approaching a remarkable hundred years old, it is one of Malaysia’s most scenic highways. At 739km long, Route 3 runs along the coastline of four Malaysian states – from Johor Bahru, Johor, in the south of the Malaysian peninsula, through Pahang and Terengganu, before ending in Rantau Panjang, Kelantan. From here, it goes on as part of the Asian Highway Network through Thailand that connects Asia to the upper reaches of Europe. Having served for economic and political purposes in the past, Route 3 today is best suited for more leisurely pursuits. The relatively flat and straight two-lane single carriageway road provides an easy, scenic drive – but not for those in a hurry. Travelling northwards, the South China Sea with its glittering blue waves in the midday sun is a constant companion and distraction on your right side. Some sections of the highway run alongside lush pockets of mangrove forests along the coastal estuaries. There’s no escaping the countryside charm of Terengganu, even as the bigger towns try to shed its pastoral image with concrete buildings and foreign franchise retailers. Fishing villages just on the outskirts of towns speak of the population’s time-honoured source of income; fishermen bring their boats ashore on public beaches; chickens and cows roam about freely along main thoroughfares; while many of the wooden homes here are still built on stilts in a compound of coconut trees. Even the stretch of road from Kerteh to Paka, where Malaysia’s oil and gas refinery activities are based, makes for excellent night driving. As the sun sets, the huge complex of pipes, steel tanks, smoke stacks and gas flutes lights up spectacularly like a space station about to launch a rocket ship. A great way to get to know Terengganu is through its food, and what better place to start than in Chukai (in the district of Kemaman), among the first towns you encounter along the Terengganu section of Route 3 northwards. Kim Wah (also known as Kin To Wah) Restaurant is a Spartan corner establishment on Jalan Masjid with an even simpler menu, selling nothing else but chicken rice. It opens daily from 11am to 2.30pm, but its plates of roast chicken over rice with a side of soy sauce and chilli dip often run out by 1pm. One of the enduring legacies of the Chinese community in Malaysia is the kopitiam. Usually established in smaller towns, but increasingly franchised in urban centres, these old-style cafés are famous for their Asian coffee (usually thicker and more bitter than its European version) and charcoal-toasted bread generously slathered with butter and kaya, a coconut cream-based jam. Kemaman’s very own – Hai Peng Kopitiam on Jalan Sulaimani – has been serving the masses since the 1930s. Besides the toast, their other speciality is the typical Terengganu dish nasi dagang; steamed rice with a serving of rich tuna curry wrapped in banana leaf parcels. In the evenings, join the locals at Pantai Geliga beach for traditional east coast tea-time treats of satar (fish cakes wrapped in banana leaves, skewered in threes, and grilled over red-hot charcoal), keropok lekor (fish crackers) and sotong celup tepung (deep fried squid). Wash it all down with fresh coconut juice, served straight from the husk. After the tranquil panoramas of Kemaman, Dungun and Marang, the bustle of capital city Kuala Terengganu takes a while to get used to. 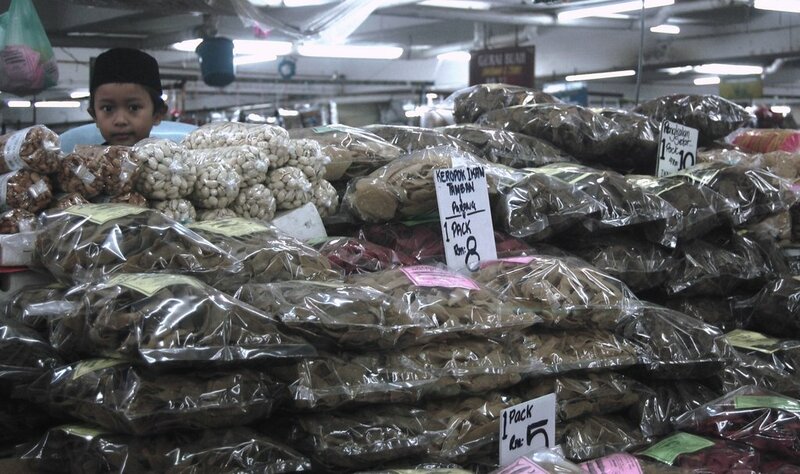 Pasar Payang is the central market where all manner of trade is conducted. It’s the place to get your fish and chicken, fruits and veggies, dried fish crackers, some fashionable wear, souvenirs, even your gold jewellery. It would almost be a sin to leave town without at least purchasing the signature east coast fabric, the batik, here. Or indulge in the Terengganu brocade; a textile of royal origins made using fine gold and silk threads. Spend a quick afternoon on the Terengganu River Cruise, from the Islamic Civilisation Park jetty, to learn about the history and development of the area. Then, hop over to Pulau Duyong to walk within the walls of an old fortress. Built in the 1920s, Kota Lama Duyong is a traditional Terengganu house with Greek Corinthian elements in its columns and Islamic influences in the decorative woodcarvings. Continue northwards from Kuala Terengganu and you will soon reach Penarik in the district of Setiu. This serene fishing village has a unique geographical landscape – a narrow isthmus of casuarinas and coconut groves flanked by the Setiu River on the west and the South China Sea on the east. 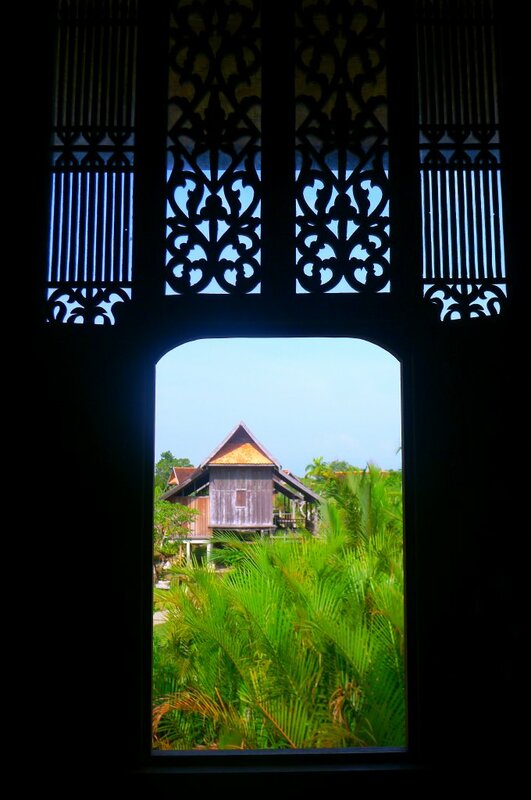 It is the setting of Terrapuri Heritage Village, part conservation project, part boutique guest house, and ongoing 20-year labour of love by local entrepreneur, Alex Lee, to preserve the authentic traditions of the Malay Terengganu house. Here, guests are accommodated in hundred-year old dwellings, each one personally sourced by Lee from various parts of Terengganu, dismantled, carefully restored and assembled again on this piece of beach-front land in Kampung Mangkuk. Rich in history and displaying the refined carpentry and design skills of highly-respected master craftsmen, each of these 29 houses may be the last legacies of a fast-diminishing Terengganu culture and heritage. Also, it’s worth checking out the weather before going. Terengganu experiences heavier rainfall and flooding in certain areas during the monsoon season when the north-east winds blow between November and January. On the bright side, the monsoon season is considered low season, and travellers get better deals on hotels.